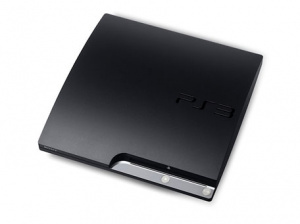 Who Wanted A 250GB Playstation 3 Slim Again? 'Cos You're Probably In Luck. In a move to once again confuse the average consumer, the "high-end" 250GB Playstation 3 will likely launch bundled with either Need For Speed Shift or FIFA 10 based on information we received earlier this week. It'll also have double the hard-drive space, meaning you'll probably never have to worry about downloading too many PSN games again. NowGamer are reporting the bundle will cost £300, which we suppose is a snip, considering the current Slim is £249.99 without a game or the extra 130GB of space.